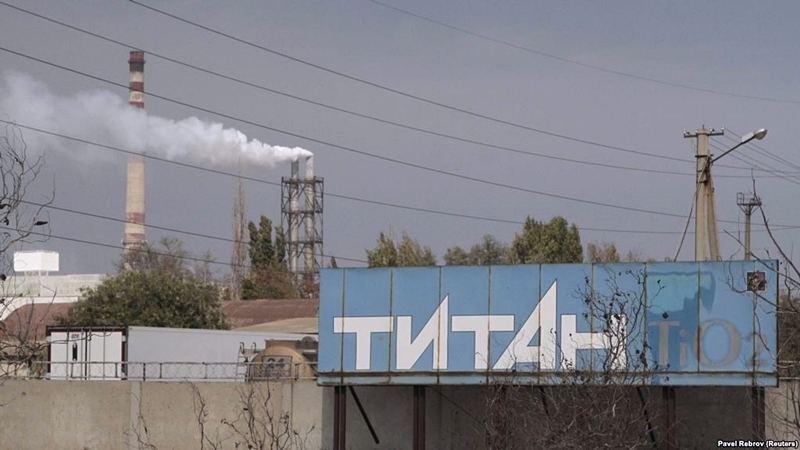 Russia is silent about the chemical emissions at the Crimean Titan plant in the occupied Crimea, like the leaders of the USSR in their time obscured the Chernobyl accident in 1986. Such comparisons appeared after the occupiers took more than 4,000 children from the Armyansk, Washington Post writes. “While sulfur dioxide gas is colorless, signs of the likely environmental disaster were likely hard to miss, as residents reported an oily substance covering metallic objects in their city and unusual air pollution early on. Trees lost their leaves, according to German public broadcaster DW. The BBC cited reports of nearby hospitals coping with an increased number of patients experiencing breathing problems and chemical burns, even as officials insisted that the exposure posed no health threat. Similar symptoms were reported from the Ukrainian side of the nearby disputed border,” the publication writes. Washington Post informed that three people died after the emission of sulfur gas occurred at Crimean Titan plant. The occupying authorities of the peninsula have not done anything until recently, but the owner of the plant acknowledged the release of the substance. Earlier, Deputy Director of the plant Andrei Doganov said that the Crimean Titan suspended work. The water that was used in the production would be collected in an acid-trap, he noted.